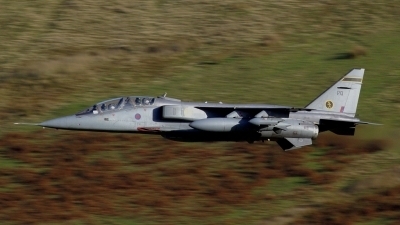 16 Sqn Jag at low-level. 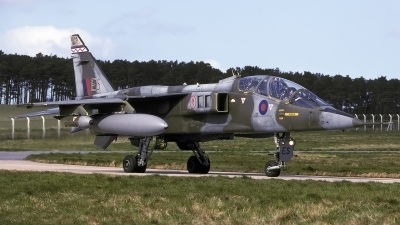 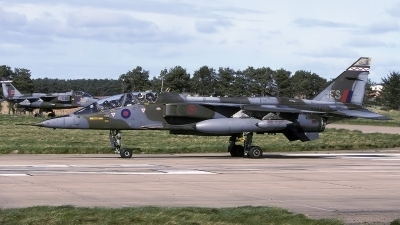 Two seat Jaguar moving out to runway 22 at RAF Coltishall for another sortie out on the ranges. 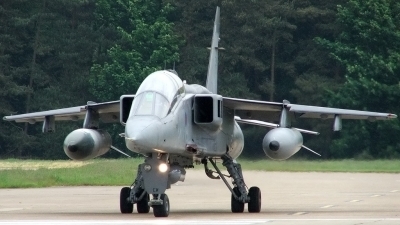 Man what I wouldn't give to be along for a ride in something like that!